Planned Parenthood and its former research arm released a new report this week intended to warn their followers about rising threats to so-called “reproductive rights,” but the numbers will just as likely hearten pro-lifers by putting the scope of 2019’s pro-life legislative progress in perspective. 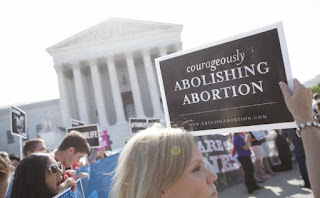 On Wednesday, Planned Parenthood Federation of America (PPFA) and the Guttmacher Institute released a report detailing the number of state-level bills to restrict or ban abortion that have been introduced since the beginning of 2019. According to the abortion giant, bills to ban abortion once a fetal heartbeat can be detected (which PPAF’s press release describes only as “six-week abortion bans” and bans “before many people know they are pregnant”) have risen by 63 percent compared with last year.